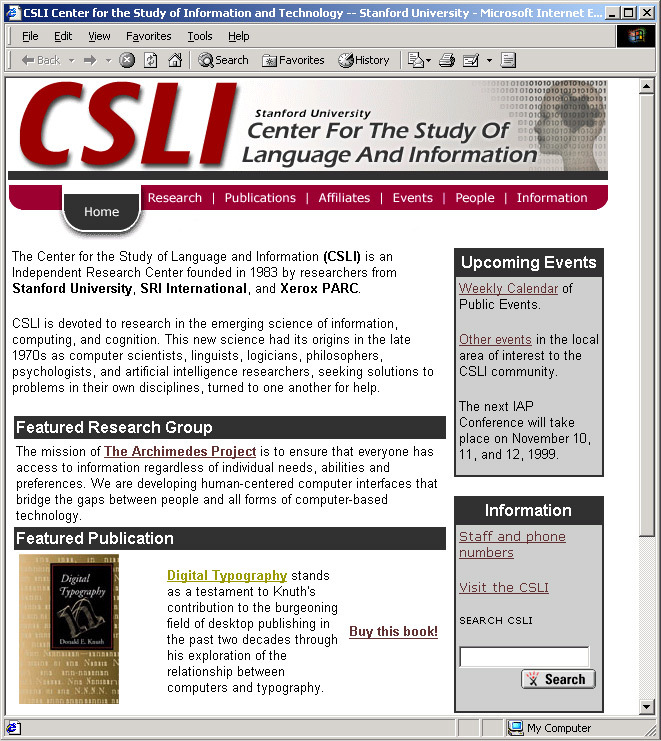 Purpose: To develop a more professional and user friendly website for CSLI partners and affiliates. Description: This site was given a complete overhaul on graphic design, information design, and usability. 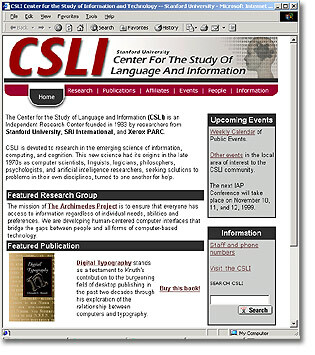 The key elements were identified with members of the CSLI team and emphasized in the navigation. Additionally, the front page is used as a place to promote CSLI publications, research groups, and upcoming events to its research community.